No, this is not about a new Royal family member or a Beatle’s song, but instead it’s my friend Madonna Yancey. We met right here on The Culinary Cellar when Madonna was doing a search on the award-winning Perla Meyers cookbook, The Seasonal Kitchen. I wrote about the book way back when I started The Culinary Cellar in 2010. In fact, it was one of the first blogs I wrote, and Madonna was one of the first who I have been corresponding with since that time. We continue to be great friends, even though we have yet to meet, just like pen pals Julia Child and Avis Devoto who eventually met and a book was written about their letters over the years called, As Always, Julia. I doubt we will write a book about it, but I have a feeling we are going to be life-long friends- and we will meet someday. That I know for sure. Madonna sent me an incredible box of books, many of the ones she knew I lost in the flood and some brand new ones. 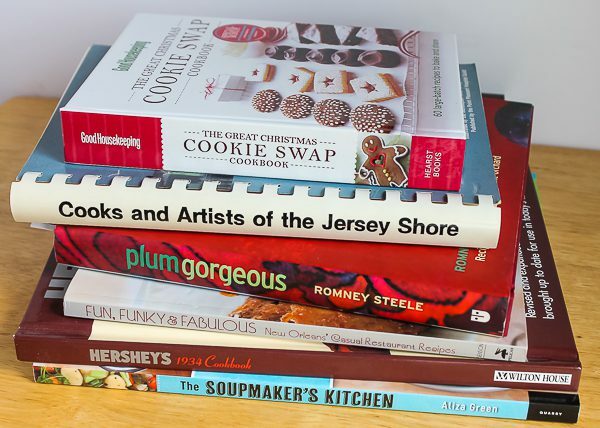 We share the love of many cookbooks and authors, and she knew just which ones I would miss right after the flood. 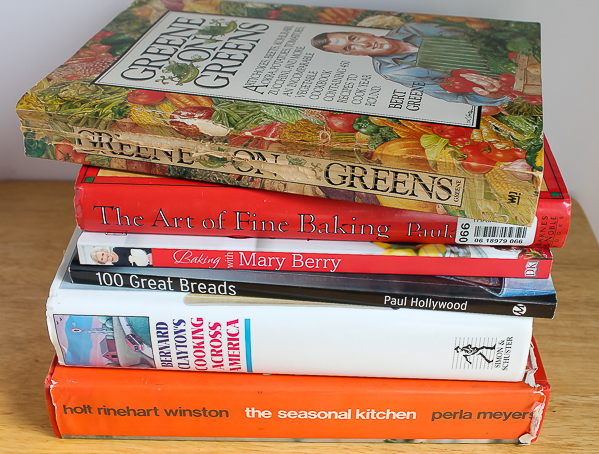 I was more than thrilled to have a Bert Greene book back, along with Paula Peck’s iconic baking book, and of course, the Perla Meyers book that brought Madonna and I together. This is the one I had to write about. The title gets your attention right away. Madonna loves visiting New Orleans, and she is Fun, Funky, & Fabulous just as is the city of New Orleans! I have only been there once when my daughter Kara was married there. It has a personality like no other city in the USA. The recipes in this book are fabulous, but I guess we already knew that. 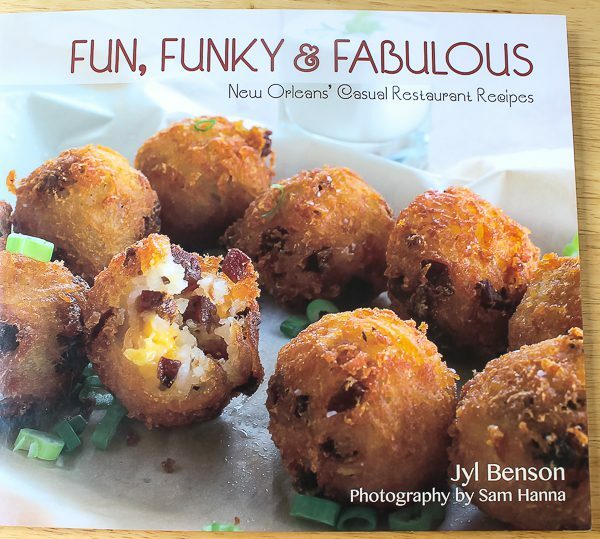 Look at some of the recipe titles: Grilled Short Ribs with Charred Mustards and Louisiana Shallots; Lamb Sliders with Creole Tomato Chutney; Shrimp and Tasso Tacos with Pickled Okra and Pepper Jelly; Crawfish Beignets; Celestine’s Honey-Peach Pound Cake; and Banana Bread Pudding with Extra-Boozy Rum Sauce. This is so incredibly good. The smoked paprika gives a vibrant color and flavor to the sauce, along with garlic, crushed red pepper flakes, and lemon juice. Dry sherry and cream add a delicious richness. I love that this dish is so versatile. 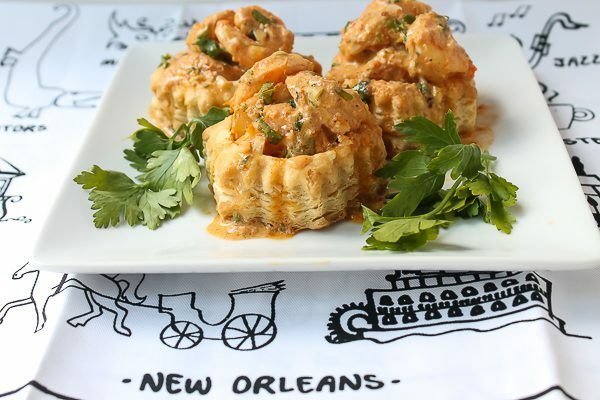 The shrimp piled in the puff pastry cups is a beautiful appetizer, but the shrimp can also be served over rice or tossed with pasta for a main dish, or simply spear the shrimp with tooth picks. You can’t lose however it is served. I had a some leftovers and for lunch and decided to toss the shrimp and a little of the sauce with shredded lettuce and pile it into a hot dog bun like a lobster roll. It was wonderful! Are you wondering what that cute tea towel is underneath the dish? I bought it at the time of my daughter’s wedding. Isn’t it adorable? 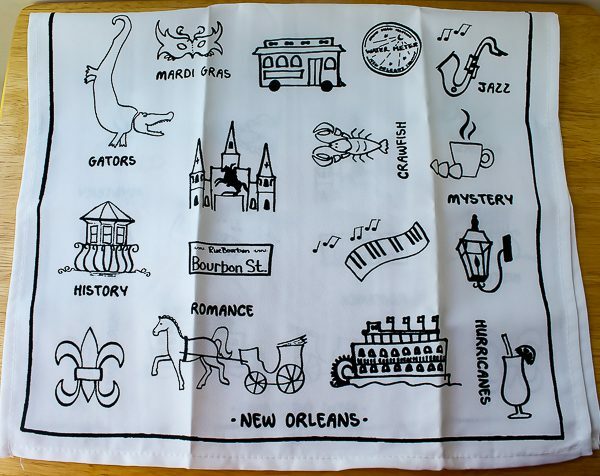 I also bought the lovely fleur-de-lis linens seen below at the same time. Love them too! Something Madonna and I have in common when it comes to cookbooks is searching for those out-of-print ones that a previous owner scribbled notes in the margins, and pages are splattered with food and sticky fingerprints. It’s then we know that it was a well-loved recipe. So now when someone, someday inherits this book, it got its first splatter of olive oil and a thumbs-up remark from me scribbled at the top. Now it is broken in and meets the Debbie and Madonna standards! Prepare puff pastry shells as directed on package. Set aside. Meanwhile, in a saute pan over medium-high heat, warm the olive oil. Season the shrimp with salt and pepper. Add the shrimp, garlic, red pepper flakes, and paprika to the hot pan and saute until the shrimp just begin to turn pick, about 2 minutes on each side. Deglaze the pan with the lemon juice and sherry and scrape the browned bits from the bottom of the pan. Stir in the cream and reduce for 3 minutes. Remove the pan from the heat and stir in the parsley. Divide the sauteed shrimp evenly among the pastry shells. Drizzle with sauce. Serves 6 as an appetizer. Note: The shrimp and sauce are also delicious served over rice or tossed with pasta. Another thing Madonna and I both love about finding formerly owned and loved cookbooks is when the owner slips their favorite hand written recipes between the pages of the book. With the box of books Madonna sent, she included some of her mother’s favorite recipes for Jam Cake with Caramel Icing, Orange Slice Cookies, and Southern-Style Prune Cake with a Buttermilk Glaze. But you will have to wait for a future blog to get these recipes. Thank you, Madonna for making memories for The Culinary Cellar. And I thank the day you did your search for Perla’s book. We will meet soon, and have fun in the kitchen. I am counting on it! Debbie, I so enjoyed reading this! What a stack of some great looking books you have there! Bill is a lucky guy to have you as a wife! In my opinion if you were cooking for me, I would rather stay home and eat your cooking than go out and eat! Thanks, Lisa! I am very fortunate to be the new keeper of so many great books. I have the best readers! 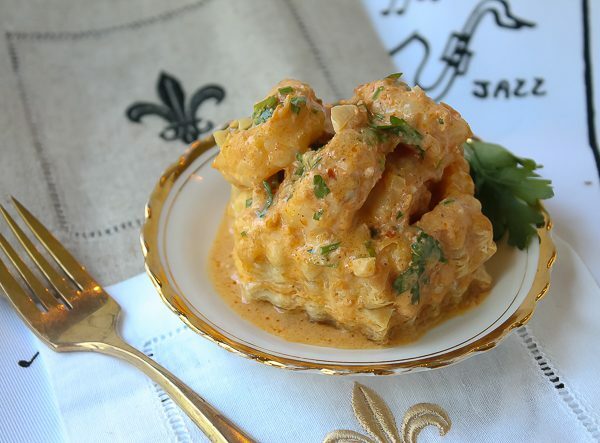 This recipe makes my mouth water! Sounds delicious! And love your cookbook friend story. Food truly brings people together in so many ways! So true Kim – food brings people together. How wonderful is that?